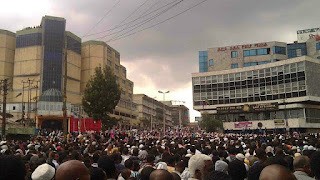 July 21, 2012 — Ethiopian authorities clashed with Muslim protesters Saturday afternoon in the capital, Addis Ababa, after police raided Anwar Mosque and began beating and rounding up demonstrators into custody, witnesses said. 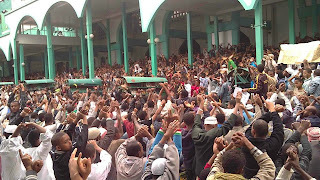 “Police broke inside the mosque and arrested many people, including several members of the (protest organizing) committee. They also fired teargas at protesters outside,” said a demonstrator, who spoke on conditions of anonymity to Reuters news agency. 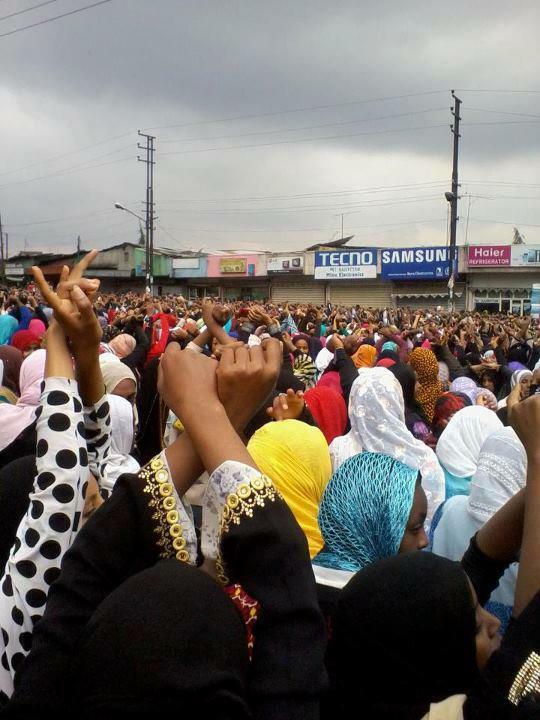 On Friday, during the first day of the Muslim holy month Ramadan, over 1.5 million Ethiopian Muslims protested in the capital over what they say are increased government oppression and interferences in their religious affairs. 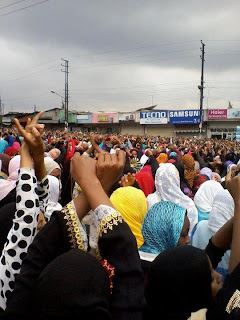 Communications Minister Bereket Simon disclosed yesterday an unspecified number of Muslim leaders were arrested for last week’s disturbances that left five unarmed protesters killed and over a hundred in custody, after police raided several mosques throughout the capital. Some of the 17-member Committee leaders detained yesterday are Imam Sayd Ali, Ustaz Ahmeddin Jebel and Ustaz Ahmed Mustefa. All three, along with a number of others, were charged on trumped-up terrorism charges today. Amid escalating violence and growing unrest in Ethiopia, the United Kingdom has issued a travel warning for its citizens in Ethiopia today, asking its nationals to be`cautious' in public places.